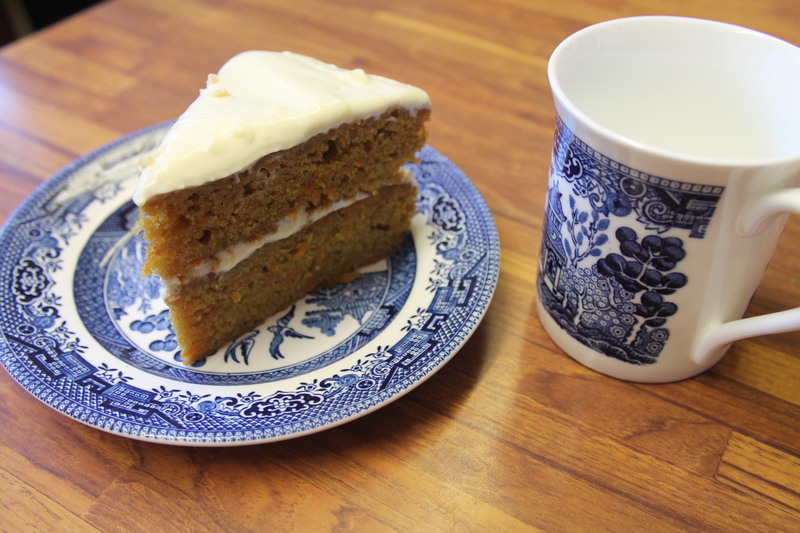 I love carrot cake but I am not keen on it with lots of spices and dried fruit and certainly not nuts so I have been experimenting with various recipes and I think I have come up with a good one. It uses oil instead of butter and just a little ginger to jazz it up. 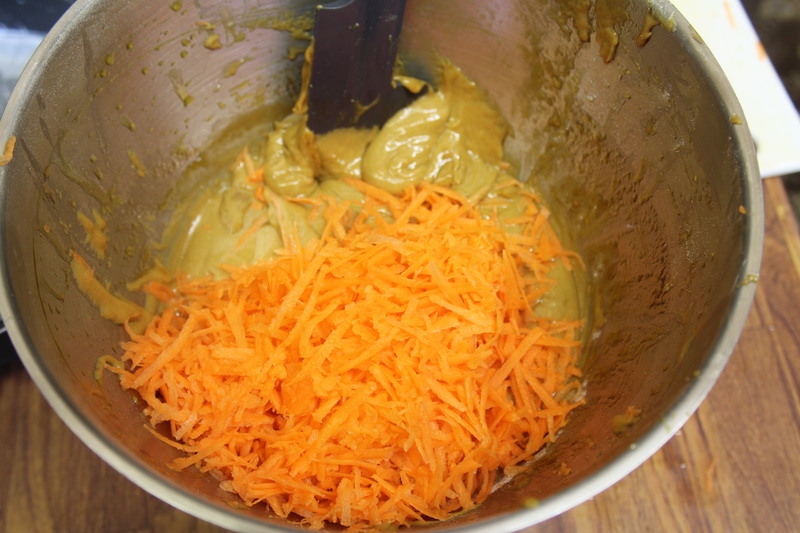 Divide the mixture between the two tins and bake for approximately 30 minutes until firm to the touch and golden. 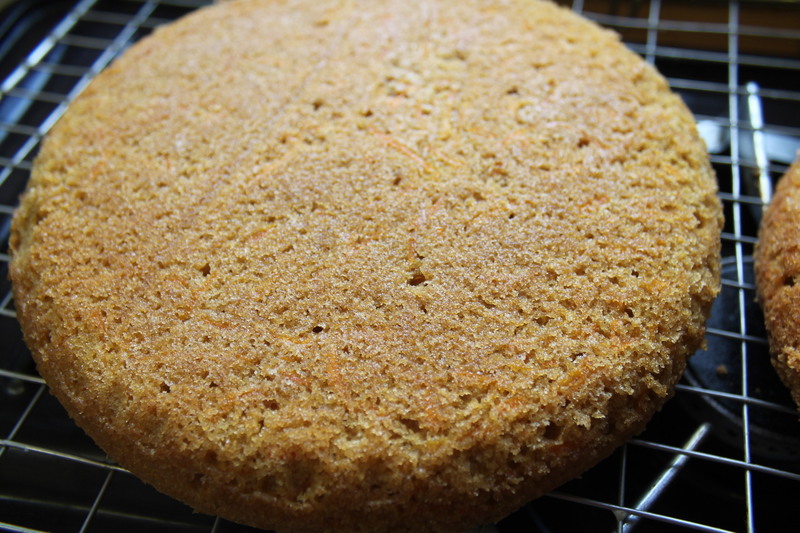 Leave the cakes to cool for about 10 minutes and then turn out onto a wire rack to cool completely. Beat all the ingredients together until well mixed and then spread half the mixture on one cake, put the other cake on top and spread the remaining frosting on top. If liked you can sprinkle nuts of your choice on top. A lovely tasty cake to serve for afternoon tea.